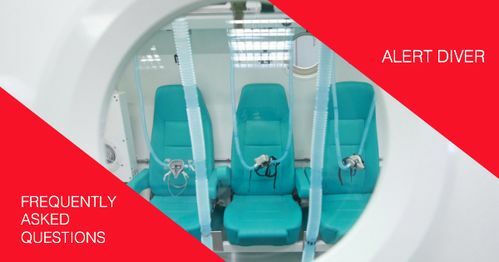 I have heard that it's not uncommon for hyperbaric chambers — even ones that treat divers — to refuse to receive certain patients. Why is this? Availability: Sometimes there simply are not enough chambers. For example, a facility may already have a patient in a chamber and not have the staff or chamber space to manage others. If a small facility accepts an emergency case, that could force the facility to reschedule or cancel scheduled treatments due to the longer periods of time required for emergency care. Even if a chamber can admit a patient, the hospital or clinic might not have any beds available, which precludes acceptance of some patients. Staffing: Many facilities lack 24-hour on-call coverage. Smaller facilities may have only one or two physicians, who may be mainly employed in other specialties, such as primary care or emergency medicine. Tender and technician positions may also be limited in smaller facilities. The comfort level of the physicians with a particular case must also be considered. A physician who has treated only stable divers, for example, may not feel comfortable enough with his or her expertise to provide care in a serious case of decompression illness. Patient condition: Certain facilities are not equipped to accept critically injured patients. For example, a patient on a ventilator could not be adequately treated in a facility designed for stable patients. Even though large multiplace facilities are more likely to be able to accept emergency cases, the facility would have to be equipped with critical-care capabilities.